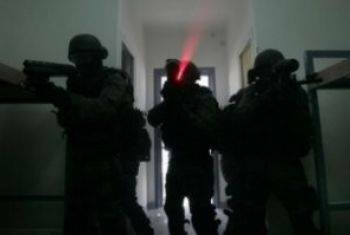 The Jerusalem Legal Aid Center has reported, Thursday, that Israeli soldiers continued their invasions and violations, targeting the Al-Makassed Islamic Charitable Society Hospital, in the occupied city, and said the soldiers even fired gas bombs inside hospital grounds. The Thursday invasion is the third consecutive attack.The Center sent an urgent letter to the Jerusalem District Police chief, and the Israeli military commander of the occupied city, demanding halting the violations, and an immediate investigation into the latest escalation. 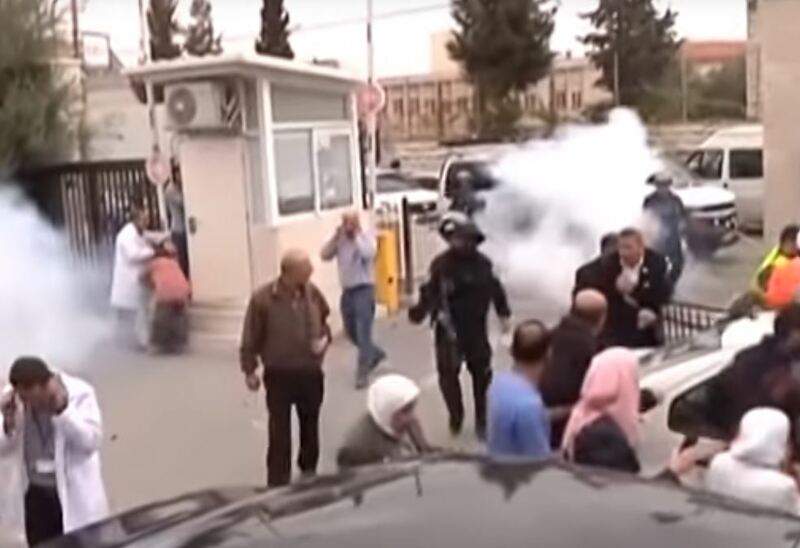 The Legal Aid Center said the soldiers fired several gas bombs, concussion grenades and rubber-coated metal bullets during their Thursday invasion into the hospital, causing many patients, employees and visitors to suffer the effects of tear gas inhalation, including in the maternity and children’s wards. 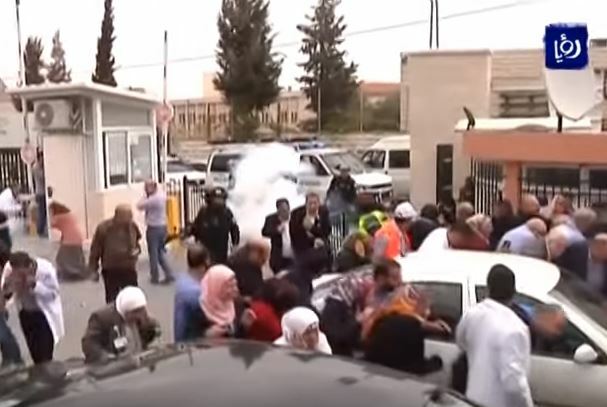 The center added that its lawyer Mohammad al-‘Abbassi, and the head of its Jerusalem main office, Rami Saleh, both witnessed the latest invasion, as they were meeting with representatives of the workers union, and employees, in the hospital when the attack took place. Head of the Al-Makassed Hospital, Dr. Rafiq al-Husseini, said this is the third attack in three days, and that the soldiers are resorting to excessive force, and firing gas inside the hospital. 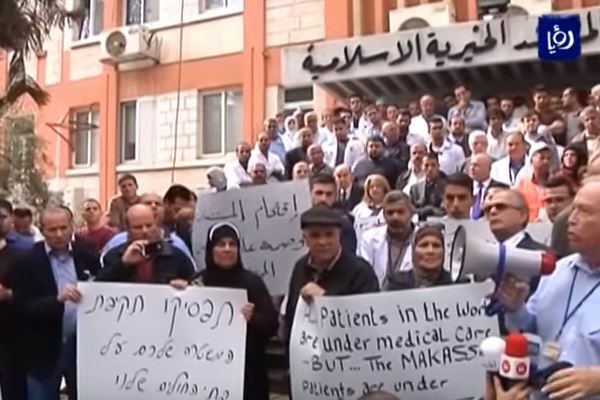 The employees and administrators protested against the invasion of the hospital, demanding that Israel stop its outrageous violations, and stop targeting Palestinian hospitals and medical centers. 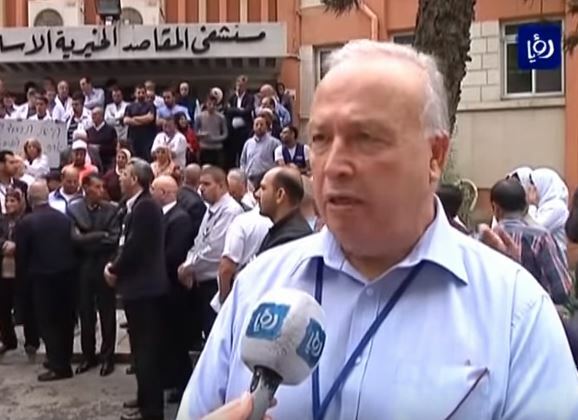 It is worth mentioning that representatives of the Red Cross were present with the employees during the Israeli military invasion into the medical center.